Professor Zhong received his BS in physics from Nanjing University, China, in 1982. He pursued his graduate study in experimental condensed matter physics at Brown University, receiving his PhD in 1988. Professor Zhong then went to the Yale University School of Medicine as a post-doctoral fellow in the emerging field of medical Magnetic Resonance Imaging (MRI) and joined the Yale faculty first as an Assistant Professor in 1991, and then as an Associate Professor in 1997. 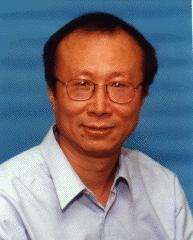 Professor Zhong joined the University of Rochester in 1997. He was promoted to Professor of Radiology, Physics, and Biomedical Engineering in 2004. He currently serves as Associate Director of the MRI Research Group at the University Medical Center. Professor Zhong has also been a visiting professor in several institutes, including the Chinese Science Academy, Tsinghua University, and Xiamen University, and has been serving on the Editorial Board of Magnetic Resonance Imaging since 2001. He has received Dean's Research Award from the Yale School of Medicine in 1996, and a URMC Research Excellence Award in 2004. Prof. Zhong's research activities, within the field of Biological Physics, involve studies of MRI signal changes in complex biological systems related to underlying physical processes such as molecular diffusion and variation of magnetic susceptibility. He is also involved in the development of novel MRI techniques. Understanding some of the important physical and physiological properties of biological tissues has led to new methods for the early detection of acute stroke, and to the development of brain functional MRI (fMRI). The experimental techniques used in Prof. Zhong's group include imaging in phantoms, extracted tissues, live animals, and humans, as well as computer simulations of magnetization in the heterogeneous environments that resembles tissues, and advanced imaging processing and statistical analysis. Prof. Zhong's recent works include: modeling of reduced diffusion in brain ischemia; diffusion-weighted MRI for detection of neuronal electrical activities and status epilepticus; quantitative measurements of tumor oxygenation and flow; and development of intermolecular multiple-quantum coherence (iMQC) MRI.